I must have registered a good while back,but havent been on here for a while,so thought Id say hello again. 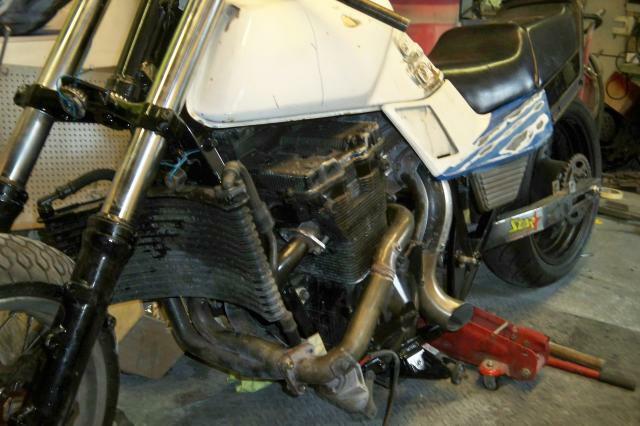 One of my current projects is a Suzuki GSX1100EFE (GS1150E in the states),which has been lengthened and lowered in readiness for a GSXR11 engine with a draw thru turbo to be fitted in. It should be fun. 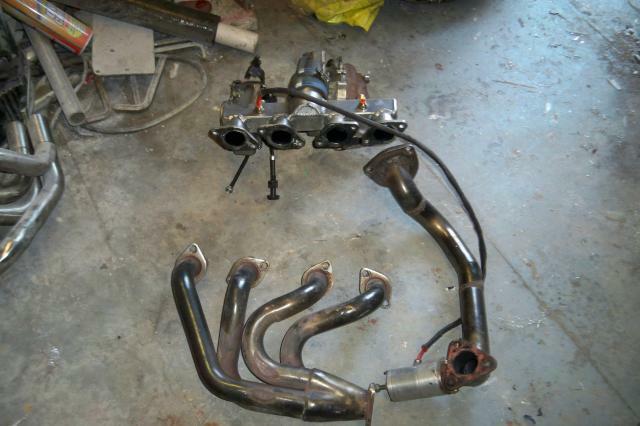 However,the turbo kit was bought,not built,so im now buying up parts for another turbo build. 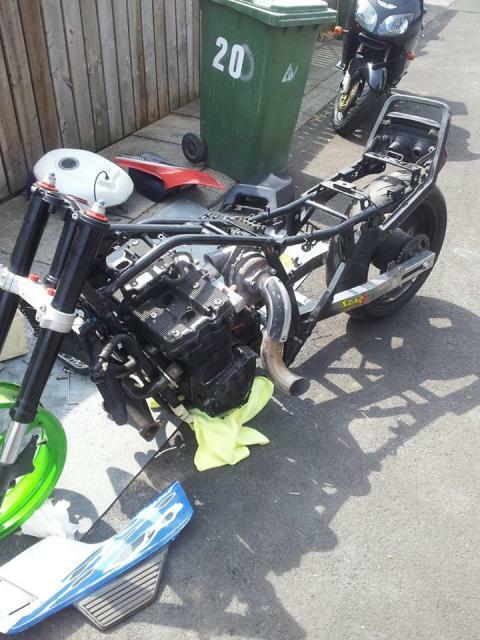 This time a Suzuki B(L)andit engine,in a hard tailed chop frame. But,its only a baby at 600cc. Ive my reasons for doing a smaller engine with a turbo. Firstly,Ive 4 or 5 600cc motors collecting dust in the shed. I need to use them up. Secondly,its a massive learning curve for me,so lessons learned from the build can then be used on BIG engines once my confidence has built up a bit. 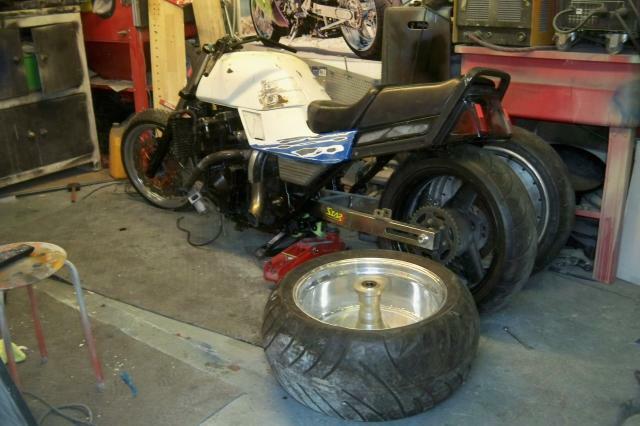 The chop will have a 10 inch wide rear wheel,so probably wont handle that well. A 600cc turbo should be more than enough to either bring a smile to your face,or a look of worry. We shall see. Pics of the chop to follow later. The engines loosely bolted in. I swopped the USD forks out for some RWU (more retro oldskool)Forks. But now I cant decide which ones I like best? The wire front wheel is just a temp thing,I have a 3 spoke wheel for the RWU forks. 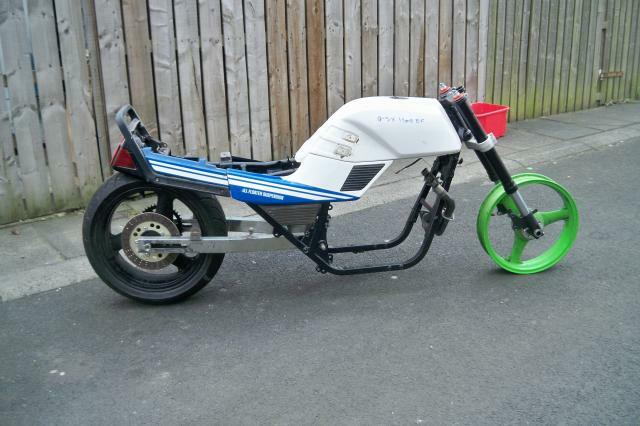 The bike looks as rough as an old dog,but once all painted,polished etc will look as good as new. Ive a nice new oil cooler with nice anodized fittings to go on too. I mentioned in the first post that Im planning on building a 600 turbo hard tail chop. Well,here is the rear wheel on the floor. Ive managed to buy a few new parts this week,turbo related,EFI fuel pump,rising rate fuel regulator,a new BOV.........etc.. This will all be home made.